CRAIG Widdison’s mare Baby Don’t Cry has taken out the feature event of the day after a tearaway win in the Winter Series Handicap at Wagga in what could be the final race for the Wodonga-based trainer. Baby Don’t Cry ($4.30) at CrownBet.com.au, which was racing on Tuesday with the blinkers for the first time, hit the front at the 400m mark and sprinted away to record the most impressive win of the day. Five-year-old gelding Gentleman Max, which returned ($2.10) at WilliamHill.com.au, made up late ground to claim second while Zarlu rounded out the placings to deliver $3.10 to Sportsbet.com.au customers. Widdison, who trains the mare for a syndicate of friends, said the win was a bittersweet result for him, given the owner’s lease on the horse runs out at the end of the month. “All my mates lease her, so they were all excited,” Widdison told HorseBetting.com.au at the track. The trainer said he is unsure what is next in store for the horse, but is hopeful that if the racing career does continue it is at his stable. “What happens after today I’m not sure, she’ll go back to the owners and they’ll make the call. If it was the last race for Widdison, it was certainly one to savour. The victory was the six-year-old’s sixth win from 27 attempts, which also overturned a lacklustre run of form which had seen it not place since March. After finishing in the second half of the field in its last three races, the trainer thought he would try a new approach. 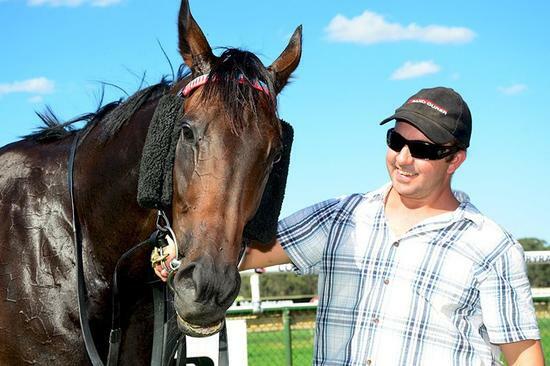 The meet at Wagga saw blinkers applied to the horse for the first time, and Widdison said he thought the added gear would prove beneficial for the experienced mare. “I thought she might have been starting to turn off during races as an older mare and while her run in town (at Sandown) wasn’t terrible last start, she didn’t really finish it off. The move paid off which could be the last race of the six-year-old’s career. While no decision has been made on the horse by any connections, Widdison remains hopeful that the horse could potentially return to his Wodonga stable if the racing career continues. “If she does return to racing I’m hoping she comes to me.